SALLY FLANNERY. Handcrafted ceramic wares. For many years Sally explored different creative mediums, from screen printing to lead lighting, sewing and jewellery design; but when she first worked with clay, she felt she had found her calling. 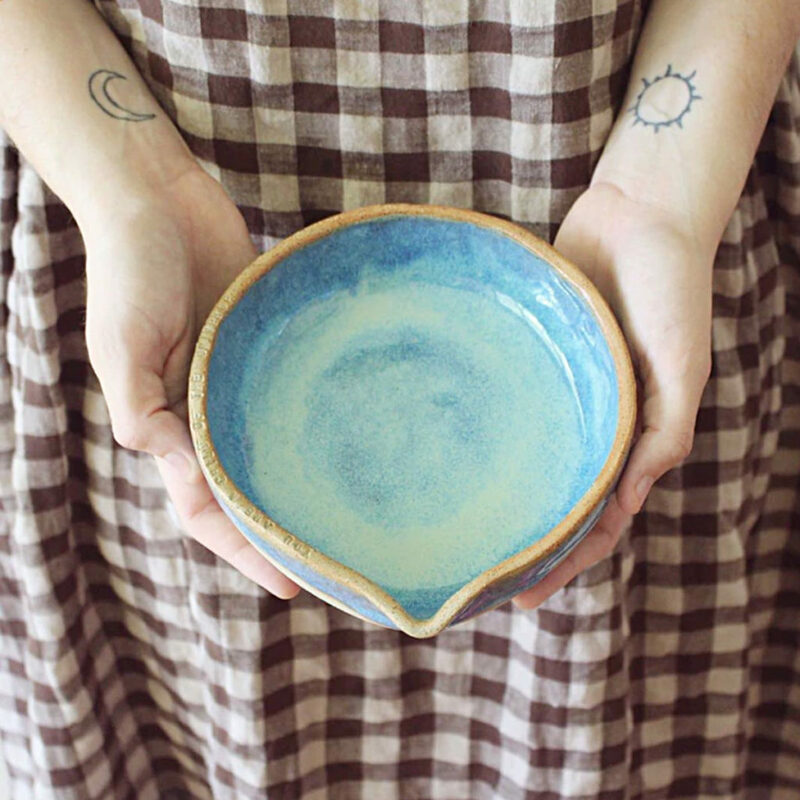 She eventually undertook a Diploma of Ceramics, and began to share her work on Instagram. 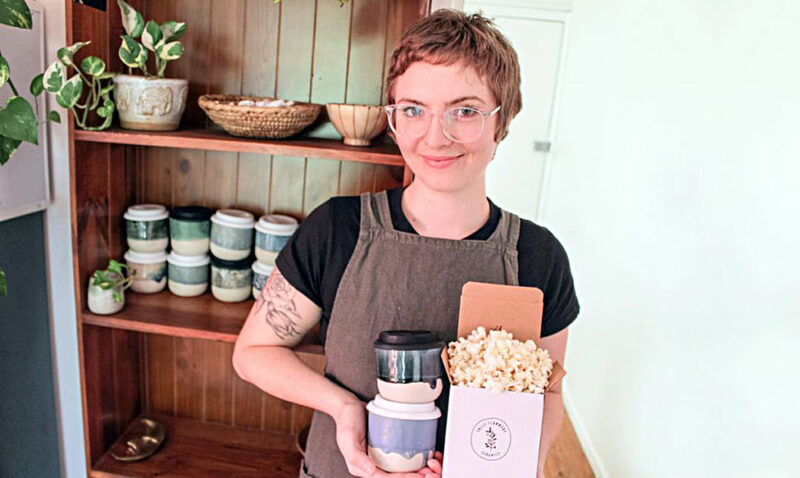 Buoyed by the support and positive feedback she received, she decided to follow her passion and create her own ceramics business. She started NEIS training with her local provider, Enterprise and Training Company in Northern NSW; for guidance on setting up a business plan. Sally began to formulate a clear vision of what she wanted to achieve and what was required to do it. 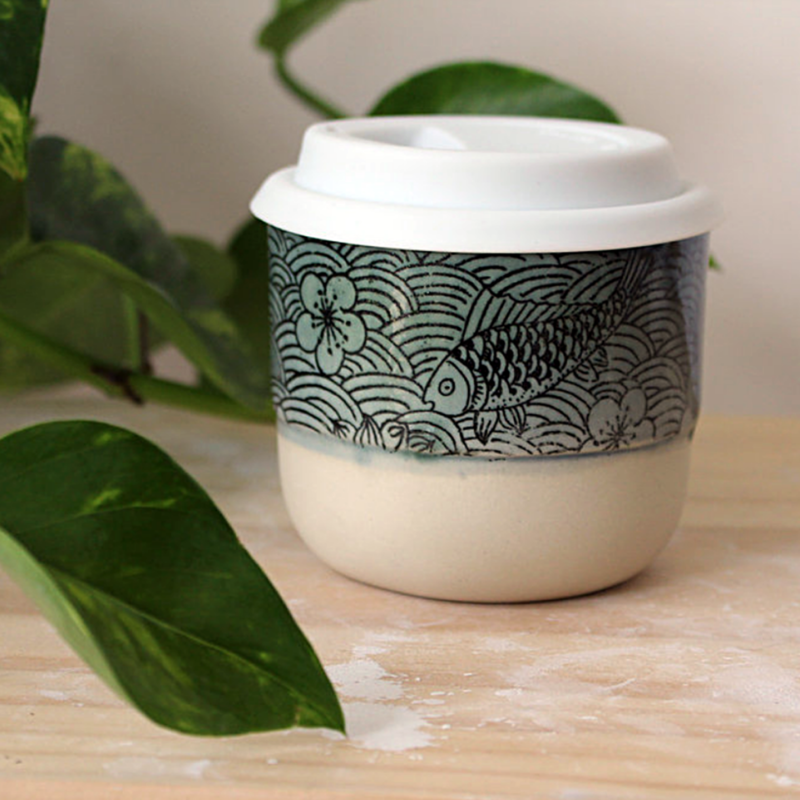 She launched Sally Flannery Ceramics in April 2018. Sally also embarked on her own Kickstarter campaign to help purchase an electric kiln. She found the response to the campaign overwhelming with 95 backers pledging $8,046. The campaign goal was only $2,750. The purchase of this important piece of equipment has allowed Sally to avoid costly kiln-hiring, and firing schedules. She is now able to reduce the turnaround time on production, by firing in her own home studio. “Ceramics has become a way to express myself and connect with the world through something tactile and creative,” explains Sally. Unique and artful mugs and coffee cups are Sally’s signature pieces. Some have lids, but unlike most reusable takeaway coffee cups, these are individual things of beauty. 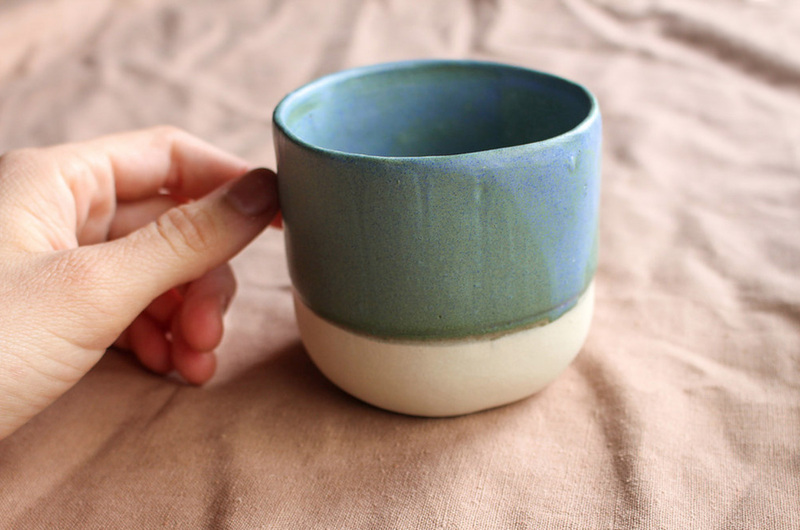 Each bisque-fired cup is sanded perfectly smooth before having the striking glaze finish applied and refired. Sally’s range also includes beautiful bowls, cups and vases, all made with the utmost attention to detail and a high consideration for longevity. We encourage you to read Sally’s mission statement, for true insight into her creative process. Wholesale orders keep Sally very busy, and her most popular items on the website regularly sell out. Business is good and Sally is finding it all very exciting. It’s what gets her out of bed at 6am to turn on the kiln every morning. There are the tasks that go with most businesses – the product photography, social media, emailing and invoicing. Then there are the creative joys of designing and making; followed by the satisfaction of packing orders. Sally is always thinking, and is currently planning exciting new developments for her online store – stay tuned! Make the change. Take the first step to becoming self-employed with free NEIS training. Use the postcode search tool to locate your nearest NEIS provider for a chat.